Nene no Michi, the path that connects to Kodai-ji, is where the wife of Hideyoshi Toyotomi spent the remainder of her life. There are many stylish Sukiya-style mansion that line the way. "We want this beautiful, good-old cityscape to remain." From that thought was born the machiya ryokan Camptons. Guests may enjoy renting a complete Kyoto city house from the golden days and immersing themselves in the every day of the old capital. 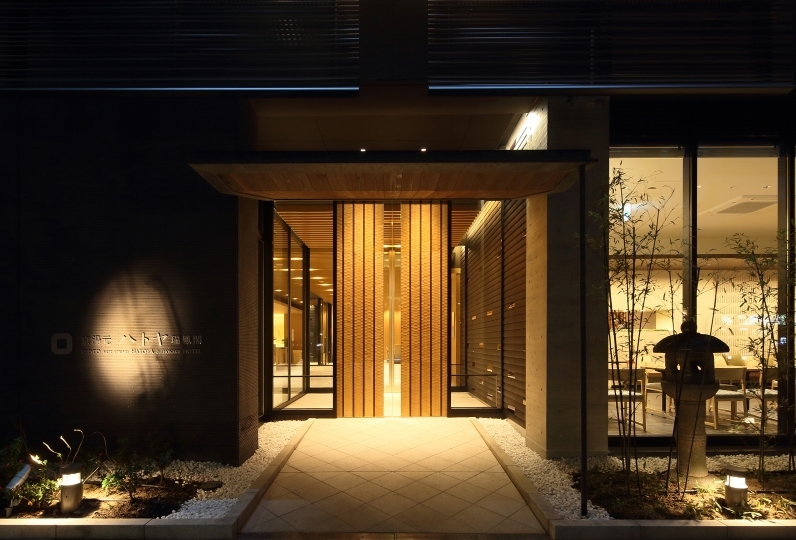 Once one is done with reception in a renovated Sukiya-style office, one's stay in a machiya located in Kyoto city begins. Campton Ⅱ is in Nishinotoin, Nishigawa-cho. 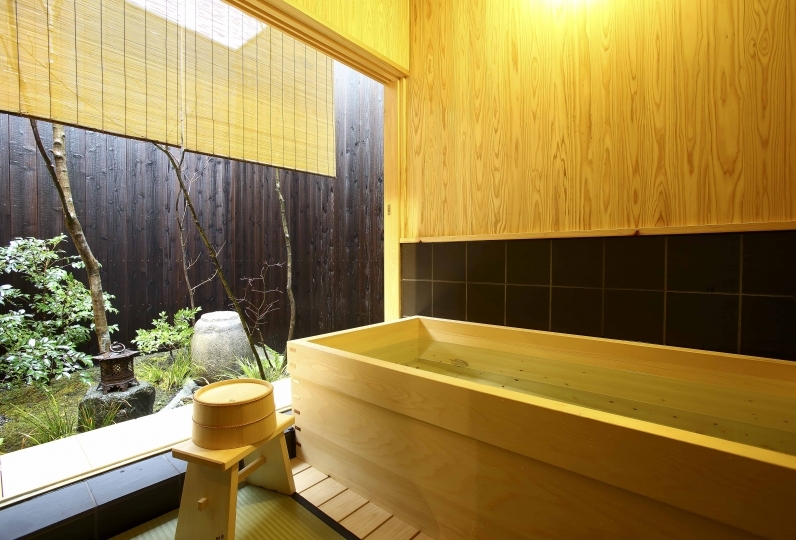 In the large pine bath, guests may have an elegant stay while enjoying the fragrance of nature. 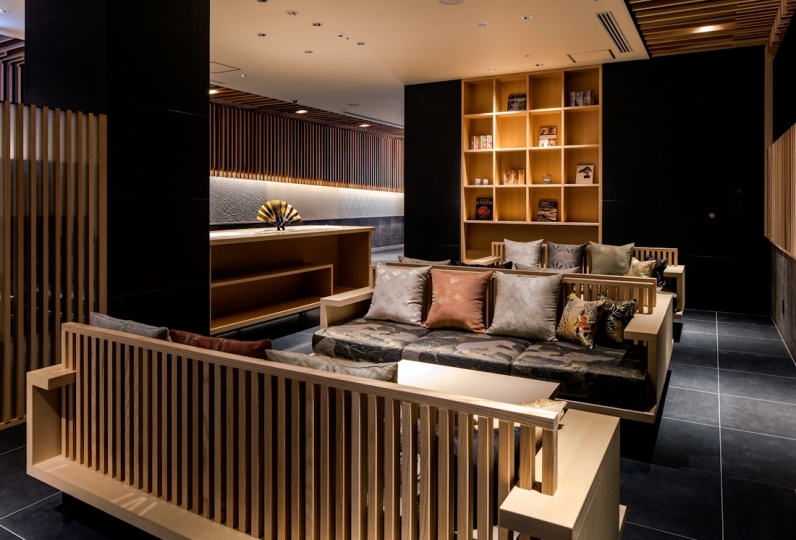 We hope that everyone enjoys a stay that meets the needs of however many people wish to lodge in this wide space with Matsumoto Mingei furniture. 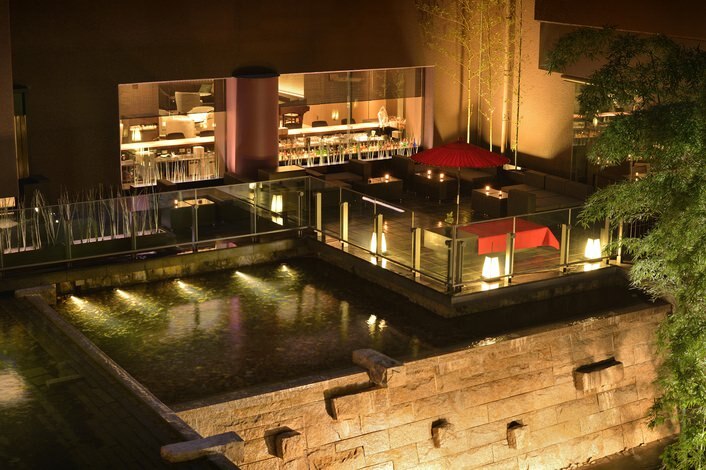 Access to Kyoto sight-seeing spots such as Higashi Honganji and Nishi Honganji is simple. The memories of your prized Kyoto trip is sure to be enriched in this building that is one of the machiya typical of the old capital. The spacious living room and Japanese room has heated flooring to eliminate the 'cold' that is often felt in machiyas. 2 twin beds are prepared. Only bed linen from Fiber Art Studio, whose specialty is its choice of thread and weave, are used. These linen lull those who feel its soft fabric on their skin into a deep sleep. 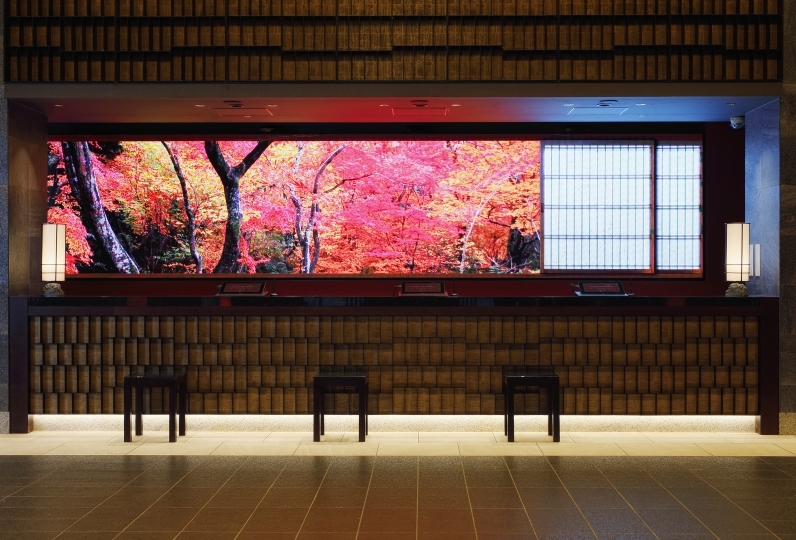 Beautifully lit up and is one of the characteristics of a Kyoto machiya. Arranged so it can be enjoyed from a variety of angles. This bathroom with a view of the garden prides itself in its bathtub made from native Japanese umbrella pine. The washtub and stool are also made of this pine. 2 kinds of shower heads, used in 5-star hotels all around the world, from the company 'grohe' are used. Guest may enjoy a blissful relaxation time. 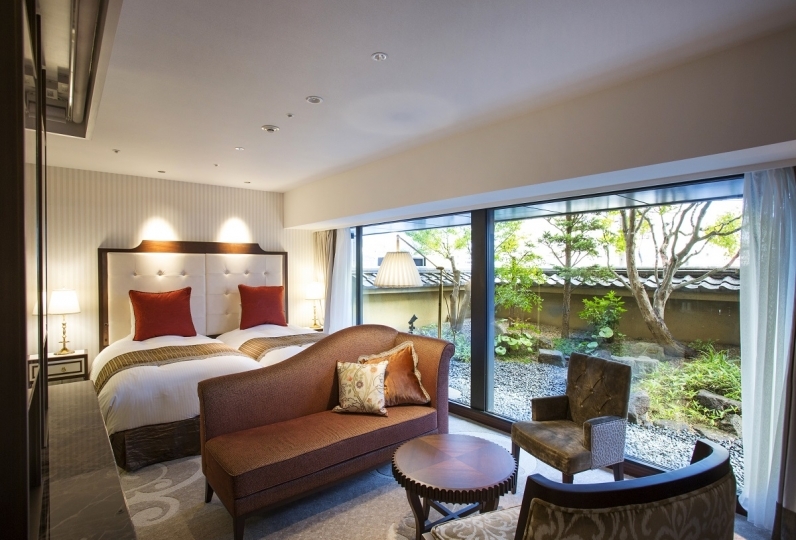 Among the amenities are a "Kyoto Chidoriya" skin & hair care set limited even among Kyoto lodging facilities. They are organic cosmetics that are gentle on the skin. The kitchenette is equipped with a refrigerator, microwave, espresso machine, and also has wine glasses and tea prepared. 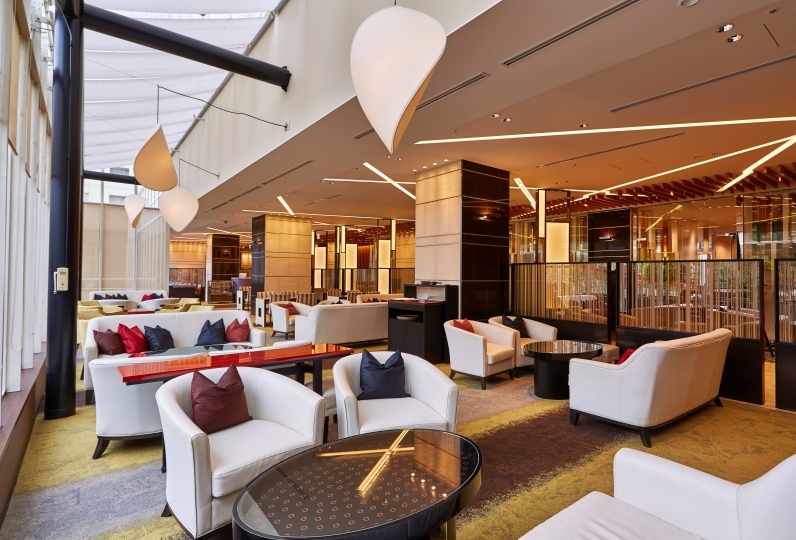 · This plan only accepts reservations with advance card payment. Please acknowledge it. Additionally, staff are not residing at the accommodation facility, so our staff will hold the key of the room according to the customer's arrival time.